King Sobhuza II was proclaimed King of Swaziland at the age of four months and would rule for 83 years, becoming the world’s longest-reigning monarch. His grandmother, with help from his uncle, acted as regent of Swaziland until his coronation in December 1921, when his name was changed to Ngwenyama, which means “The Lion.” Sobhuza’s leadership and stature were key to Swaziland’s gaining independence from British administration and in resisting the incorporation of the small landlocked country into the Union of South Africa. In 1922, Sobhuza challenged the 1907 partition of the Swazi lands by the British High Commissioner, traveling to Britain with a Swazi delegation to meet with King George V and petitioning him to restore the lands to the Swazi people. King George refused, but after 15 years of entreaties agreed to help Sobhuza acquire land from white owners and return it to Swazi occupation. 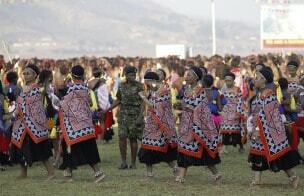 Swaziland remained a Protected State until regaining full sovereignty on September 6, 1968. During King Sobhuza’s reign, Swaziland was an African success story, a model of political and economic stability. He supported foreign investment and management of the mineral-rich country, hoping that such economic development would benefit his own people, most of whom were living in rural poverty. 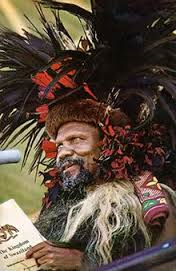 After being challenged by political opponents in 1973, Sobhuza became an absolute ruler, and made all judicial, executive, and legislative decisions and surrounding himself with close relatives as advisers. He continued to rule as an absolute monarch until his death in 1982. Richard C. Matheron was interviewed by Lee Cotterman in March of 1989, and was Ambassador to Swaziland from 1979-1982. Richard J. Dols was interviewed by Charles Stuart Kennedy in January of 1992, and was Deputy Chief of Mission from of Swaziland from 1969-1971. Charles Joseph Nelson was Ambassador to Botswana, Swaziland, and Lesotho from 1971-1974, and was interviewed by Celestine Tutt in October, 1981 Charles Lahiguera was Deputy Chief of Mission from of Mbabane, Swaziland from 1983-1985 and was interviewed by Charles Stuart Kennedy in July 2000. Please follow the links to read more about Africa, post-colonialism, monarchs or to read an account of Ethiopian Emperor Haile Selassie. MATHERON: Swaziland is a country about the size of New Jersey, which is sandwiched between the Republic of South Africa and Mozambique. It’s a fascinating country in its own right, but from the regional point of view and from the point of view of broad U.S. interests, its geographic position was most important. Swaziland lies between Marxist Mozambique, which in those days was much more vehemently Marxist than it is today, and South Africa, which is ruled by the white minority and is an extremely conservative government, to say the least. Swaziland was a territory where there was quite a bit of movement back and forth between these two very different régimes, one in Mozambique and one in South Africa. Swaziland was fascinating in its own right because it was one of the few kingdoms left in the world where the King had real power. 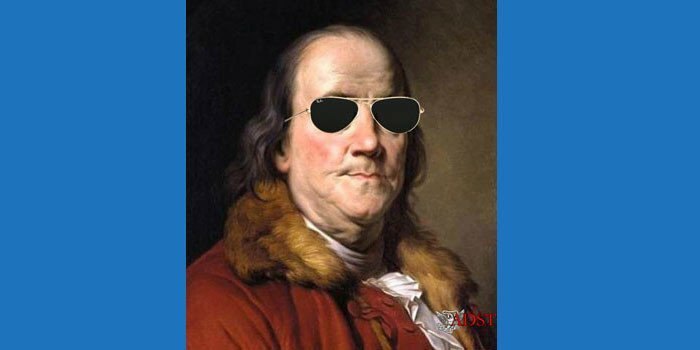 Although he ruled with consensus of the people and there was a Parliament, there was no doubt about the fact that he was number one in the country. From the time Botswana, Swaziland and Lesotho gained independence in 1968, we [the U.S.] had had one ambassador accredited to three countries. The ambassador used to live in Gaborone, the capital of Botswana, and visit Lesotho and Swaziland from time to time. There was an American delegation which flew out. It was headed by Vern Orr, who was then Secretary of the Air Force, and Mrs. [Loet Miller] Ruppe (seen right), the Peace Corps Director, was a member of the delegation, as were various people, including Don Defore, who was a Hollywood personality. 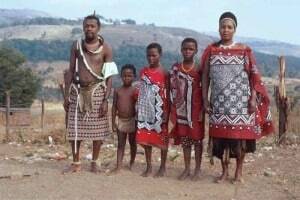 Part of the system is that the King has a wife from every one of the major clans of the Swazi people. 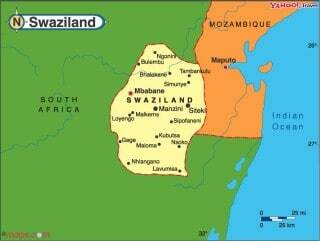 Actually, the Swazi peoples occupy an area greater than Swaziland today. It’s part of the political cohesiveness of the Swazi people. Of course, Swaziland is one of the very few countries in Africa which is primarily from one ethnic group. Ninety-eight percent of the population of Swaziland is Swazis, as compared to places like Zaire or Ethiopia or Nigeria or even smaller countries where there’s a much greater ethnic diversity. Also, Sobhuza was a very clever man, although he was a traditional chief. He had one foot in the past, but he certainly had one foot in the present and in the future. He’s one of the few political leaders that I’ve known who had a real vision for his country. I think probably the most concrete accomplishment was negotiating an agreement to establish an FBIS station there, as you know, Foreign Broadcast Information Service, which serves all of southern Africa. The only other FBIS post on the African continent is in Abidjan. It took the better part of a year and a half to negotiate the agreement, because in Swaziland, foreign diplomats are negotiating with the modern sector of government, which meant the prime minister and the deputy prime minister and the minister of communications. They had Cabinet meetings, and they made decisions, but then it went down to the royal court — I say “down” because it was at a lower altitude in the country–and there it would be mulled over among the King and the traditional advisors to the King, who would send messages back very subtly about some of the considerations. Sobhuza never made snap decisions. He was a very thoughtful person and really wanted to bring all the traditional people aboard. So although I wouldn’t say it was a difficult negotiation, it was one of those things that you had to know how to pace. You had to keep reminding them of U.S. interest, but not so often that it would annoy them. Eventually, we got a good answer and a good agreement to set up that station, which has turned out to be enormously valuable to the intelligence community. 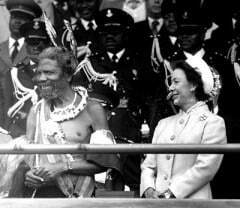 Swaziland had a beloved old king, Sobhuza II, who had been on the throne since the ‘20s. He and Sir Haile Selassie (Emperor of Ethiopia from 1930-1975) were about the same vintage. In fact, a funny story about them. When Chase [Ambassador Charles J. Nelson] came back from his home leave we arranged to call on the King. He had presented his credentials to the Prime Minister not the King. We went down to call on the King. What he had been doing was reading before we arrived. What was he reading? A book about kingship. He was very concerned about it. He was sort of like the Hapsburgs when faced with the collapse of the kingship in Europe. He was worried about the King in Lesotho, who at the time had gotten into political hot water and was likely to eventually find himself on the way out. 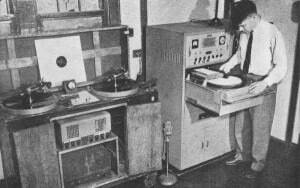 In fact, the king of Lesotho was then exiled to Holland for a while. But he was concerned about that and tried to play a mediation role. He saw Haile Selassie as his model. Sobhuza II, along with the King of Morocco, was about all there was left of African kingship at the time. But it was so interesting to see him reading a book about kingship, of all things. King Sobhuza is the longest reigning monarch in the world, and whatever you might say, he is a tremendous presence and a person who I think sincerely wants the best for his people. I remember when I went to present my credentials to the king. Of course, he was in his national dress, while his ministers were there in striped trousers and cutaway coats, and I walked in and I was presented to him and he said, “Oh, I thought you were just another Swazi (Nelson, seen right, was an African-American),” or something like that. I think he is a tremendous individual… and I think a wise person, who has led Swaziland effectively and in the direction, which in his terms, is the best for Swaziland. He was really something of a semi-God to the people. He was a very cautious, wise, well-balanced man from what I could see and hear. He ruled after Swazi gained independence and they didn’t go into promoting radical change…. The Swazis had a very traditional government. They only had this one leader (Sobhuza) and most of the population was very content under their system. They had a parliament during the British days. Then they were granted independence. They had a constitution and the king (Sobhuza II) had suspended parts of the constitution except the part dealing with the judiciary…. So, when I arrived they were in this state; the political parties had been banned. 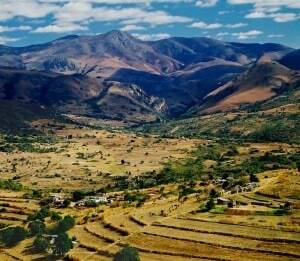 The Swazi view of things was that they were a small community and they didn’t want to have one side against the other. Their idea of settling problems was getting everybody involved in a room and talk it to death and then come up with some sort of consensus. They thought that was a much healthier way of resolving problems than slugging it out and voting on it…. Their system of government is that the king and his mother ruled at the same time. When the mother dies, as Sobhuza’s mother had already died, the king and his senior wife replaces the mother as co-sovereign. When the king dies, which is what happened when I was there, the senior wife became the regent. Then the royal family, the immediate family and the royal members meet and they discuss and they form a consensus of who should be the next king. There is no automatic selection of the king. So, they were in the process of trying to decide who of Sobhuza’s children should be king. Their preference was to have an infant be the king and to raise an infant as king from the beginning from infancy. Sobhuza didn’t have any infants — he was in his 80’s — but he had some quite young children. They finally selected a young man. They first made him the crown prince and he eventually became king, Mswati III. In the meantime when he was selected his mother, Ntombi, became the regent in place of Sobhuza’s senior wife. The whole apparatus is surrounded by counselors and the system is that the king makes a lot of the executive decisions with his prime minister, but there’s always the traditional channels of appeal through his mother and through the wives.